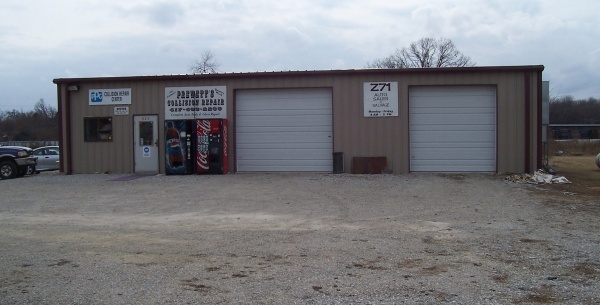 We are located on the south business route of highway 60 in Willow Springs, Missouri, we offer easy access, high quality repairs and a friendly place to get your car professionally repaired. As a full service body shop, we are able to meet all your automotive body repair needs. We use only the highest quality parts and paint supplies. Using our state of the art paint booth we offer an unparalleled and superior paint job. Our Staff of Auto Body Technicians insure that the safety and value of your automobile is maintained to your manufacture's' specifications. Protect your family, passengers, and investment with our certified technicians. PPG paint company backs our paint work with a life-long, global warranty. They can do this because we are factory trained and do the job right the first time. On those very rare occasions where we do make a mistake, it is corrected at no cost to you. Save your self time and money by having the job done right the first time. We perform the entire repair process at one location. Other body shops sublet the work, costing you more time and money. Feel secure knowing that all aspects of your repairs are done under one roof. Prewett's Collision Repair has the latest state-of-the-art digital estimating systems. We communicate directly with insurance companies quickly, accurately and precisely. Eliminating all your worries in settling an insurance claim. Eliminate the hassle of your insurance claims! Prewett's highly trained, staff will guide you through all your questions. We understand how to repair your car and how to explain it to you in simple, understandable terms. Relax, we can handle all your needs and tell you how we're going to do it! We offer same day glass replacement, and sometimes with an appointment it can be done while you wait. We use only the highest quality glass for perfect clarity. Glass replacement also carries our guarantee against leaking. In some cases, small nicks cracks or stone chips can be repaired without replacement and this eliminates any insurance deductable. We also repair problematic inner-door issues pertaining to glass and its function. We provide a service that few other body shops offer. We can restore your classic car to showroom condition, rebuild panels, paint and do as much of your restoration as you want us to do. We know that you bought this vehicle because you wanted it. You brought it to us because you want to be proud of it. We have several clients who's cars we have restored, and will provide references upon request. Restoring a car locally, we may come to your garage and advise you on how to perform the work. After hours and on weekends if we are available. Come on in, see our work and make a friend.